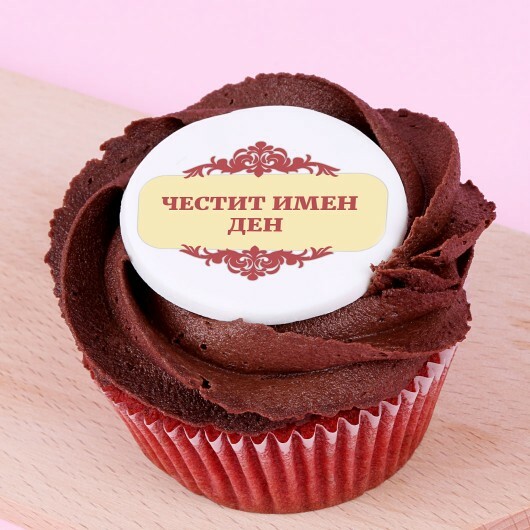 When it’s time for your friend’s name day and you want to congratulate her, this is the cupcake you need. Our Red Velvet cupcake is paired with cocoa frosting and a fondant decoration with edible paper that says ‘Happy name day’. 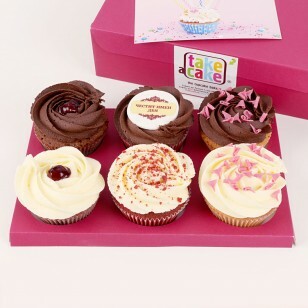 You can also add it to a box of six cupcakes, combining it with your favourite flavours, or you can just come to one of our bakeries and get it individually packed in a box. 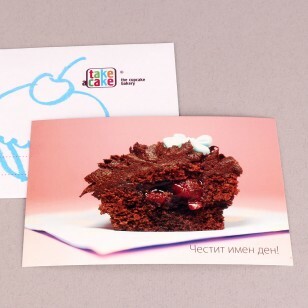 Ingredients: Powdered sugar, white sugar, white flour, cow's milk, cow's butterр cream cheese, eggs, lemon juice, natural cocoa powder, apple vinegar, baking soda, salt, red food colouring. Decoration: fondant, glaze, rice paper, edible food paint. Nutrition Facts. 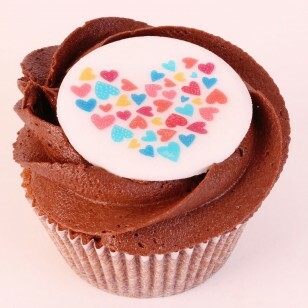 Amount per 100 grams: Energy 1840.9 kJ/440.0 kcal. Fats: 21.2 g, of which Saturates 13.1 g. Carbohydrates: 58.1 g, of which Sugars 45.7 g. Protein: 4.2 g. Salt: 0.5 g.